Welcome to the PostgresOpen SV 2018 Registration section! Our newly updated ticketing and registration interface works in tandem with your postgresql.org community credentials. If you do not have a login you will be asked to create one. (Please note, your community account will not be shared or spammed in accordance with our policies). If you’re ready to acquire tickets - click here! 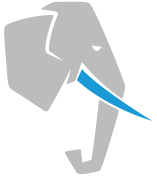 Log in or create an account with postgresql.org. You will be redirected to the Postgres Open registration form page. Once you have submitted your information for registration and ticketing, you will see an invoicing page for payment. Please continue through the process and pay the invoice immediately or your registration and ticket will not be confirmed. Payment for conference tickets is transacted through Braintree Payments. Once your payment has been authorized, you will be redirected back to our Postgres Open site and a copy of the transaction receipt will be emailed to you in PDF format. Don’t forget to book your room at the Parc 55!